There are many authors and speakers that make you think, but there are only a few special speakers that change your life. Wayne Dyer is one of those people that changed the lives of millions. It was in 2013 when I saw the documentary "The Shift." This documentary introduced me to Wayne Dyer's teachings. 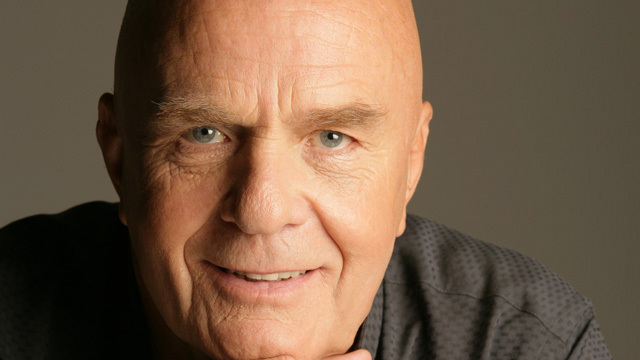 Wayne Dyer was an internationally renowned author and speaker in the fields of self-development and spiritual growth. He is the author of over 40 books, including 20 New York Times best sellers. He recently died on August 29, 2015. If you are not familiar with him, I strongly encourage you to check out his work for self-development and personal growth. 1. Making intentions is the first and a crucial step for reaching your dreams: "Our intention creates reality." 2. Take responsibility for your feelings: "How people treat you is their karma; how you react is yours." 3. Stop making excuses: "There is no scarcity of opportunity to make a living at what you love; there is only scarcity of resolve to make it happen." 4. Know that you are worthy: "Self-worth comes from one thing – thinking that you are worthy." 5. Don't be afraid to ask for support: "You are important enough to ask and you are blessed enough to receive back." 6. Always keep an open mind: "Having a mind that is open to everything and attached to nothing seems to me to be one of the most basic principles that you can adopt to contribute to individual and world peace." 7. Stay on purpose and don't let fear stop you: "When you stay on purpose and refuse to be discouraged by fear, you align with the infinite self, in which all possibilities exist." 8. Love: Loving people create a loving planet: "Loving people live in a loving world. Hostile people live in a hostile world. Same world." 9. Change your perception to transform your life: "If you change the way you look at things, the things you look at change." 10. Live it like you mean it: "Stop acting as if life is a rehearsal. Live this day as if it were your last. The past is over and gone. The future is not guaranteed."